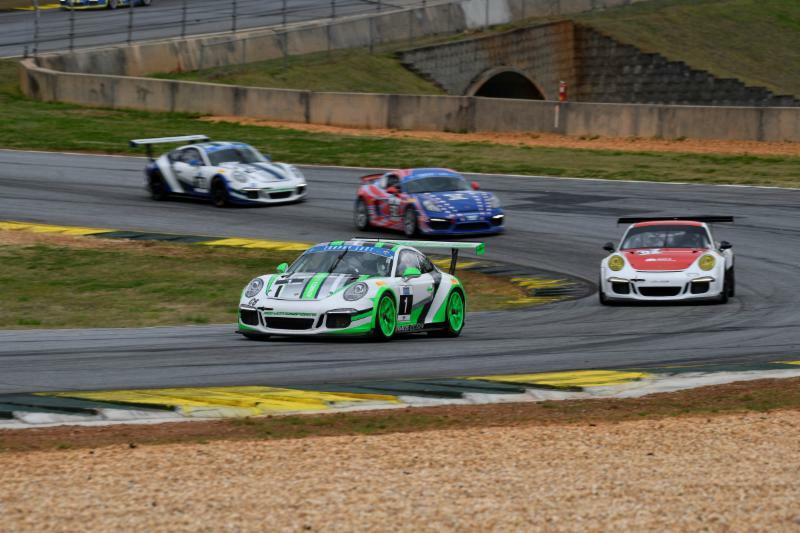 BIRMINGHAM, Ala. (May 14, 2018)– The Porsche Club of America (PCA) Club Racing Trophy East Series is set to battle the 2.38-mile, 17-turn, road-course at Barber Motorsports Park May 18-20 in Birmingham, Alabama. This weekend marks the series’ second event of 2018 after an exciting season kick-off at Road Atlanta in April. Following the series’ first event, Curt Swearingin, representing the Tennessee PCA Region, is first in points in the TE6 class ahead of SpeedSport Tuning’s Jack McCarthy, 38-36. Alejandro Galindo leads the TE4CS class in points with his NOLAsport teammate John Crosby leading the TE4CS Masters class. Gary Jensen is leading the TE6 Masters class with 25 points. Bruce McKee, a second-year TE4CS driver, is a member of the Alabama PCA Region, along with his daughter and fellow driver, Sydney McKee. The duo share the No. 87 BGB Motorsports Porsche Cayman GT4 Clubsport MR entry. McKee said he is looking forward to running at Barber as it’s his home track. “I may be biased but I honestly can’t think of a more beautiful, challenging and fun track to race at than Barber,” McKee said. “It’s technical, challenging and fun; the track really rewards the balanced, better handling cars and skilled drivers. Sydney and I are tremendously excited to have the PCA Trophy East series visiting our home track once again. We are both really looking forward to a redeeming event and to sharing Bart – our Cayman GT4 Clubsport MR – for the weekend. The gates will open for team load-in on Thursday, May 17 at 3 p.m. There will be two practice sessions on Friday, May 18 ahead of qualifying. On Saturday, May 19, there will be two 30-minute sprint races with an 80-minute endurance race wrapping up the weekend on Sunday, May 20.